The Salomon Vitane 9 Classic is a high-performance classic boot for women with an updated design that delivers proven Salomon performance to classic enthusiasts. Classic Flex: Stability, control and power transmission. Good forefoot flexion for classic style and stiff rear part for perfect torsion to flexion rigidity ratio. 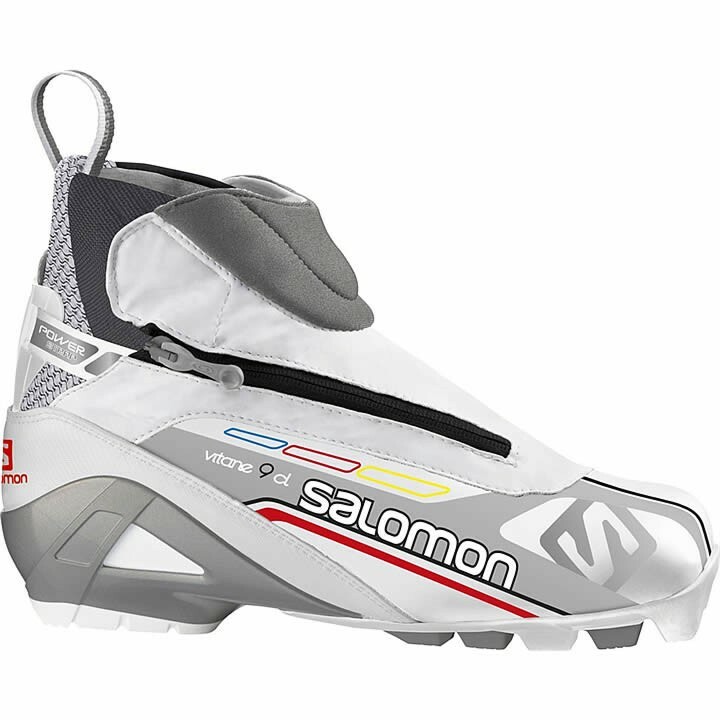 Salomon Sport Women's Fit: Medium volume for maximum foothold, high comfort and precise fit. Specifically adapted to women's morphology thanks to a narrower heel and instep volume. Sensifit: Providing extremely precise and comfortable foothold from narrow to wide feet. Racing Insole: Comfort, support and power transmission. SNS Pilot 2 Equipe: Supportive and responsive. Excellent flex, better power transmission and total control. Two outsole parts with a supple front part and a rigid rear sole. Pivot point is located 10 mm behind the boot's front edge to be closer to the metas. SNS Pilot: The performance standard for skating and classic racing. Two axes for more control and energy transmission.